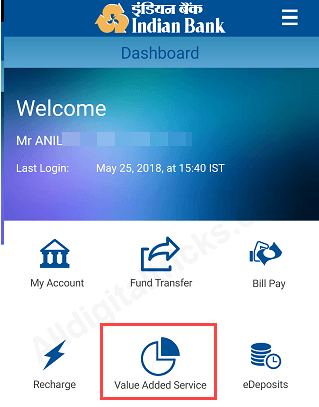 Indian Bank customers can request Cheque Book online without visiting branch through net banking and mobile banking channels and received it via courier at home address. Indian Bank is an Indian state-owned public sector bank established in 1907 and headquartered in Chennai, India. It has 2682 branches and is one of the top performing public sector banks in India. 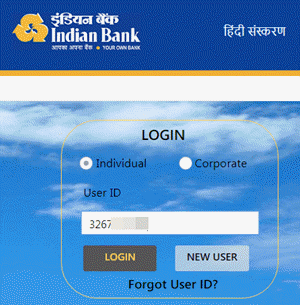 Indian Bank provides free net banking and mobile banking facility to customers so they can easily manage their account online and access many online services without bank visit. To avail this facility you need to activate net banking or mobile banking. Both facility you can activate online. 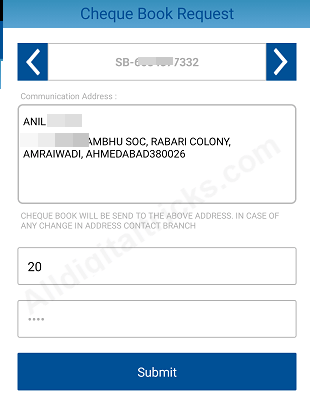 Now see 2 Ways to Order new Cheque Book. 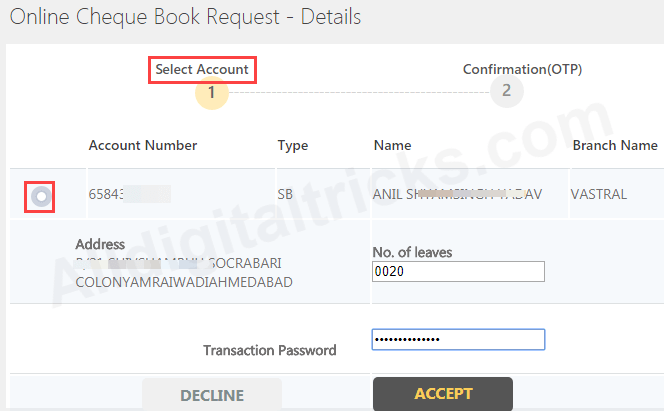 3: Next screen select your Account number and enter Transaction Password. Now enter One Time Password which received on registered mobile number to confirm your request. That’s it. 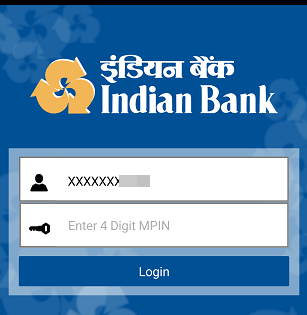 1: First login to Mobile Banking. 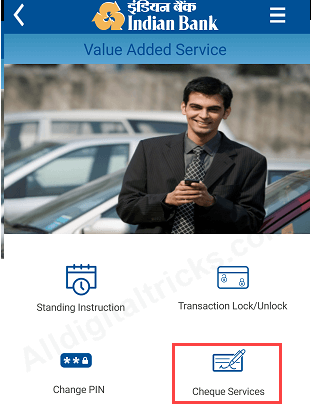 2: After login, tap on value Added Services. 3: Next screen tap on Cheque Services. 4: Now tap on Cheque Book Request. 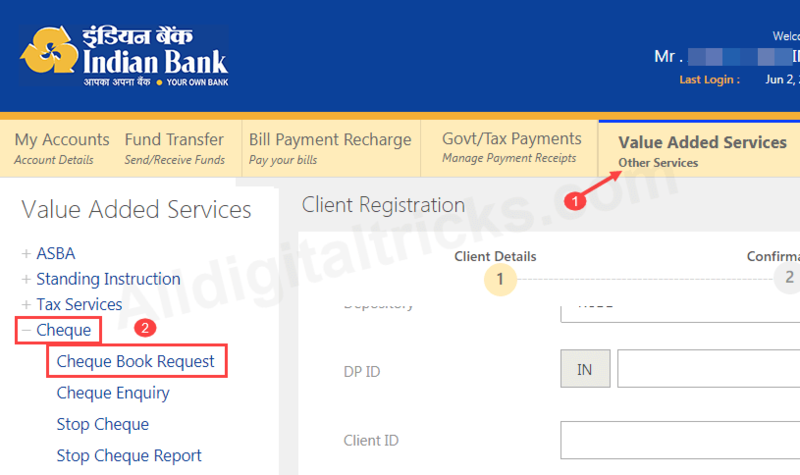 5: And in last step, select your account number, confirm your address is correct and enter TPIN to submit your request. 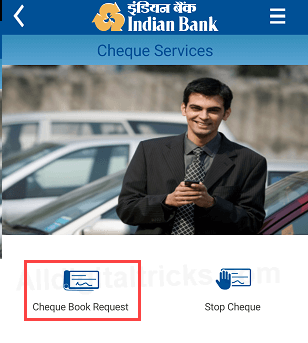 So these two ways to Request Indian Bank Cheque Book online.